Great article by Ken Amundson of BizWest on our announcement of Fransen Pittman as Construction Manager for the Pulliam Community Building project. LOVELAND — The first phase of fundraising to restore the Pulliam Community Building is complete and initial restoration will soon be underway. Meanwhile, the foundation supporting the effort to restore what it calls “the heart of Loveland” has begun the second phase. 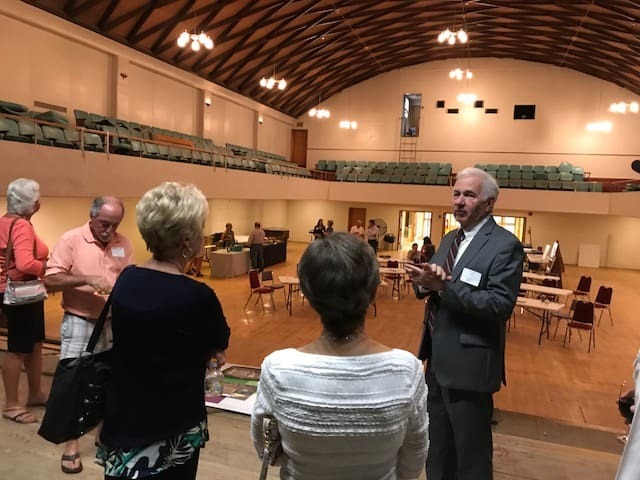 Members of the Pulliam Community Building Foundation hosted a small gathering Friday night in the 23,000 square foot, concrete structure on Cleveland Avenue in downtown Loveland. There, they reviewed the fundraising campaign that resulted in the $2.32 million first phase that will pay for planning, electrical work, safety and code improvements and a new elevator to give easier access to all three levels of the structure.